We continue with the second installment of the World's Coolest Dude 1911-2011 list, covering the winners from 1921-1930. In case you missed it, you can see yesterday's post, which listed the winners from 1911-1920, by clicking this link. Here are the winners from 1921 to 1930. In November of 1921, Albert Einstein was awarded the Nobel Prize for Physics for his work involving the photoelectric effect, which explained the existence of photoelectrons or electrons emitted from matter due to their absorbtion of light. Basically, this study explained light and the phenomena related to it at a much more microscopic level and may have had something to do with Cezanne’s theories on painting and how he saw objects. However, what Einstein’s Nobel Prize was really for was for his shaping the 20th century with his ideas, especially his theory of special relativity, which shaped much more than the sciences of the 20th century, but also humankinds general conception of reality. Modernism and Post-Modernism in their different incarnations have as much to do with the after-effects of war as they do with Einstein’s special theory of relativity, which basically said that how we experience time depends on how fast we are doing something—time lapse is not invariant. This furthers the element of parallax evident in 20th century culture, that an object seen or experienced from a different point or different speed, makes the experience of that object alien, sometimes extraordinarily alien from any other perspective. What the theory of special relativity specifically did on a scientific level was allow us to realistically fathom the idea of space travel. Einstein won the Nobel Prize for Physics in 1921 for his work regarding the makeup of light, but he had already done far more than that. Plus, he was maybe the last globally famous scientist (fine, I’ll take arguments for Stephen Hawking). And he significantly influenced the next year’s winner. Though the first episodes of Ulysses began appearing the the Little Review in 1918, the novel was not published in its entirety until 1922. Literature was changed immediately upon its publication. This is not an exaggeration as authors such as Ernest Hemingway have been on record as saying that Ulysses allowed them to see what they could do with literature and what words they could use. Ulysses went a long way to espousing the idea that culture was significantly fractured, but that perhaps it had always been that way, that our experience of the everyday is kaleidoscopic, simultaneously a part of history and outside of history depending on how we choose to embrace our surroundings. The novel gives us Leopold Bloom, a man who enjoys the mundane aspects of life while experiencing great personal pains, and Stephen Dedalus, a young man who ponders the poetic and philosophic nature of life with a cruel, hurt mind at odds with the needs of others and his own good. Through each of these characters we meet a vast array of human life and everyday experiences that are sometimes relayed in a straightforward manner, but other times filtered through the array of perspectives that history and literature have given us. There is a chapter that uses each style of the English language as it as evolved over the centuries, all while imitating the gestation period of a fetus. Oh, and all of that concept is used to narrate a group of men getting drunk in a maternity ward while a woman gives birth to yet another child. Joyce fits both concepts high and low into a story that also effectively tells the story of Ireland and what had ailed the country up to the year Ulysses takes place (1904) and even on through to the time period Joyce was writing the novel (1914-1922). Joyce also elaborates on the dangers of social institutions and even the institution of the imagination if it is not balanced correctly. The novel contains some of the most beautiful passages in the history of English literature and is the most life-affirming book that has ever existed. Joyce changed the course of literature in 1922 and influenced not only the writers of his generation but generations of writers and will continue to do so until the world explodes. He took the throne in 1922 and he consistently shares it with only Tolstoy and Shakespeare. Now I know some of you may be thinking that Calvin Coolidge only won the World’s Coolest Dude Award in 1923 because he has the word “cool” in his last name, well that is just not true. To be fair, much of Coolidge’s victory did come from the fact that Warren G. Harding had died in office as President of the United States and was such a terrible and corrupt president that anyone who followed would look great by comparison. 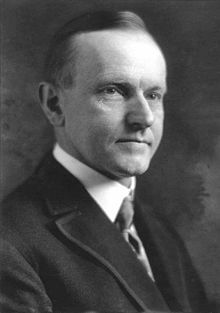 Coolidge was a soft-spoken, conservative man from Vermont who brought small-time government appeal to the office. His wholesomeness helped restore America’s faith in its government after Harding’s corrupt tenure. Under Coolidge, the “Roaring Twenties” really took off. 1923 was just the beginning for Coolidge and we all know that beginnings usually seem the best, especially when you leave office with the country headed for a financial disaster that it can’t afford. But, hey, the Great Depression didn’t happen under Silent Cal’s time in office. It’s 2011 and we all take for granted that the Earth is in a galaxy known as the Milky Way and that the Milky Way is just one of many galaxies in the Universe. However, back in 1924, we didn’t know that. We couldn’t make meta and self-referential jokes about the vastness of the universe to entertain adults and kids at the movies (see Men in Black). On December 30, 1924 (just sneaking in for eligibility), Edwin Hubble announced that Andromeda, which was a group of stars believed to be a nebula, was actually another galaxy and that the Milky Way was in fact a separate galaxy in a space that was filled with perhaps an infinite amount of galaxies. This was mind-blowing to the public at the time and only became even more mind-blowing as marijuana made its way further and further into popular culture. So, to recap, this guy changed our own perception about how we saw the dimensions and measurements of the Universe—seems like he deserves to win World’s Coolest Dude in any year, let alone a weak year like 1924. This was a no-brainer. By 1925, Scotty Fitzgerald had strung together two novels which had arguably set the tone and aesthetic for America in the 1920’s in This Side of Paradise and The Beautiful and the Damned. Joyce may have been towering over literature with his sheer detail and linguistic genius, but there was no one writing more beautiful, musical and heart-breaking prose than F. Scott Fitzgerald in 1925 when he published his masterwork, The Great Gatsby. Fitzgerald was only 29 when The Great Gatsby was published and it was his third novel to be reckoned with. His earlier work had looked at class and America at the beginning of one of this country’s greatest decades, but in Gatsby, he attacked America as myth, America as mythmaking, America as beauty and heartbreaking glory, all in economical, yet beautiful prose. H.L. Mencken called The Great Gatsby a “glorified anecdote.” The World’s Coolest Dude voters did not agree, as they found Fitzgerald’s work moving, beautiful and the story much deeper than it's shade less than 200 pages suggest. Jay Gatsby, Tom Buchanan, Nick Caraway and all the awful guests at Gatsby’s parties continue to live on in our minds, taking on new shapes and identities as the years pass by. And no one will ever forget that green light or the fact that we are like boats against the current, borne ceaselessly into the past. When James Franco and Anne Hathaway (Sidenote: I know that Anne Hathaway recently got engaged, but the other weekend, I was in Chelsea and I saw her crying over some coffee, so mark my words: that engagement is a sham and she should/will be with me! Plus I’m still not sold she’s actually engaged.) hosted the Oscars this past year we all made fun of them and the movies they were “honoring” without really giving a thought to how far movies have come over the past eighty to ninety years. In 1926, Fritz Lang’s Metropolis first premiered in Germany and it still remains a cutting edge film nearly ninety years on. The film premiered in December of 1926 so it just snuck in under eligibility for 1926. Metropolis used cutting edge visual effects such as using miniatures and a swing camera. Basically, it was the first huge leap of visual imagination that film had truly seen and it directly influenced such directors as Albert Hitchcock. On a philosophical note, the film embodied German expressionism in its symbolic representation of a dystopian future (how about THAT sentence?). Basically, Fritz Lang created a film in 1926 that James Franco would still approve of today. And perhaps set the bar for “foreign films” and how weird they should be. Lang was a visionary, the film was cutting edge and the committee knew all too well where the award should go in 1927. Many people overlooked Gehrig’s insane season in favor of marvelling at Babe Ruth’s 60 home runs, which were impressive, but unwittingly started the American public on a terrible addiction to home runs that eventually culminated in the 1998 MLB season and Barry Bonds’ head circa 2002. However, the World’s Coolest Dude committee did not miss the monumental season that Gehrig put together. Just dwell on those all around numbers for a moment and then slowly begin to piece your brain back together. 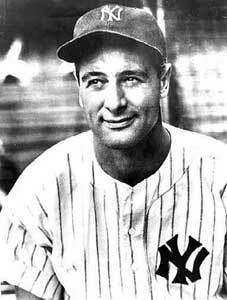 People may dock him points for being on the 1927 “Murderers’ Row” Yankees, perhaps the greatest baseball team ever assembled, but not the WCD committee. When you play on one of the greatest teams of all time and put up the best all around numbers on said team, there has to be an air of coolness around you, an ability to understand the moment, a poise to remain unflappable under the greatest amounts of pressure, scrutiny and peer competition. And that’s what the 1927 Lou Gehrig had, which is why he won the award. Like 1924, 1928 did not hold a strong field of World’s Coolest Dude contenders and thus Charles Lindbergh’s selection is a bit of a minor controversy in the annals of the World’s Coolest Dude award. In May of 1927, Lindbergh flew the Spirit of St. Louis, alone, from Roosevelt Field in Garden City, Long Island to Paris, France. The flight took 33 hours and there were points where the Spirit dodged storm clouds at 10,000 feet and then others where it just avoided the white caps of ocean waves at 10 feet. Lindburgh flew alone through icing, fog, and “blindness” until he miraculously landed at Le Bourget airport where he was greeted and carried by a crowd of 150,000 people. Linbergh was rumored to have been carried on the crowd’s shoulders for a solid hour. After the flight and for the rest of 1927, Linbergh embarked on the “Lindbergh U.S. Tour: Wings over the Atlantic” (which Paul McCartney later made reference to with with album Wings Over America), where he gave speeches about aviation in 48 states and 92 cities. The influence that Lindbergh’s flight had on air travel was so great that its stretch into 1928 could not be ignored. The public had been very skeptical and fearful of aviation, but after seeing Lindbergh’s solo heroics, air travel did not seem so impossible. The rate of U.S. Airplane passengers increased 3,000% from 1926-1929, with a bulk of that growth coming in 1928, the year following Lindbergh’s historic flight. Though Lindbergh would later become famous due to the horrible abduction and murder of his son, in 1928 he was the world’s hero, and the World’s Coolest Dude. Though many of you can watch Al Capone’s rise to prominence as part of a larger story arc on Boardwalk Empire, it’s important that you understand why he was the World’s Coolest Dude in 1929. Capone had left Brooklyn for Chicago in the early 20’s and was recruited into Johnny Torrio’s Five Points Gang. 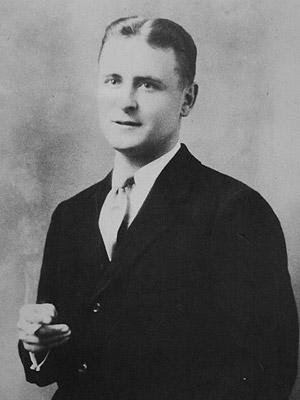 By 1925, after Torrio had retired due to a life-threatening attack, Capone had taken charge of the Chicago Outift and was engaged in a war with the North Side Irish gang led by Bugs Moran. This war was ongoing until 1929 when, in an effort to settle the score once and for all, Capone ordered the St. Valentine’s Day Massacre. Capone’s soldiers, dressed as policemen, raided a warehouse where Moran’s men were gathered. The reason Moran’s men were there is still debated, but Capone’s men opened fired with sub-machine guns killing Moran’s seven men. After the shooting, two more of Capone’s men emerged wearing street clothes and were walked out by the men wearing police uniforms in order to give the appearance of an actual arrest. 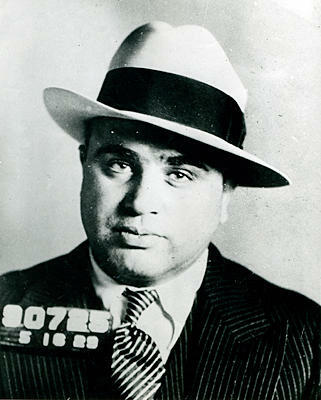 The Massacre ended up drawing too much attention in Capone’s direction and though he was never convicted of ordering the murders, the heat around him eventually led to his conviction for tax evasion by the IRS. In 1929, Capone was arguably the most powerful mobster in America (Meyer Lansky and Lucky Luciano were also in the mix) and he gave us one of the most horrific, yet iconic moments in American organized crime. You may not like it, but sometimes the bad guy is the World’s Coolest Dude. So, by 1930, Hemingway had forcefully and thoroughly established the “Hemingway style” as well as the “Hemingway mystique.” Even if Joyce’s genius still towered over literature like some obtuse, profane spector, Hemingway was widely considered the best and most influential writer of the time. One has to look no further than the allure of novels like The Sun Also Rises and A Farewell to Arms which was published just a year earlier. His first short stories were just refreshing blasts of declarative prose that reminded you what it was like to just walk or sit (see “Big Two-Hearted River”) while A Farewell to Arms took that simplicity and added doom, romance and the small spiritual (read: microscopic) occurances that happen among the meaninglessness of life. Reading Hemingway in 1930 was like teaching yourself how to read and approach language and story for the first time. In 1930, Hemingway could make putting on a sweater seem important and meaningful. Everyone read his books and everyone thought they were genius, and if not, they understood why he was important, even if perhaps they didn’t think there was much prose actually present. He was a literary celebrity and living legend of literature. In 1930, Ernest Hemingway was undeniable. That’s all you need to know. Check back tomorow for the next installment of the World's Coolest Dude 1911-2011.